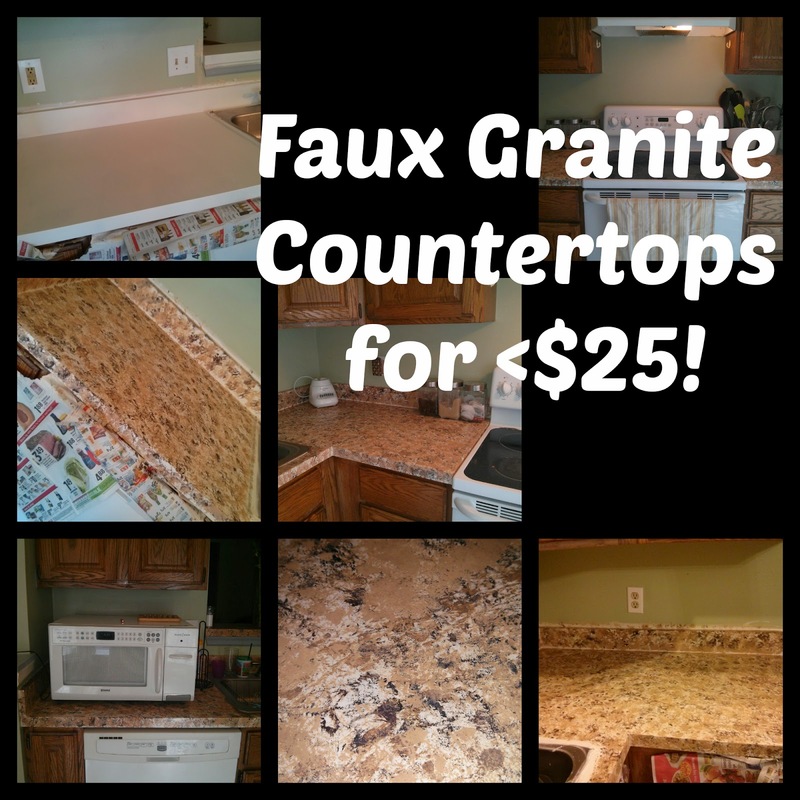 Un-Domesticated Dabbler: Granite Countertops- Faux real! Before I say anything....this is what I started with. 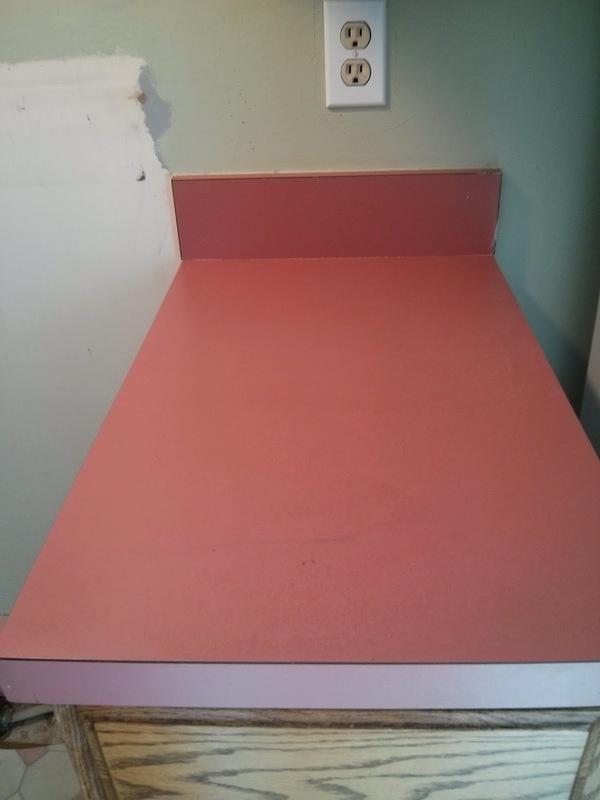 I'll give you a second to retain your composure from the PINK countertops. Back? 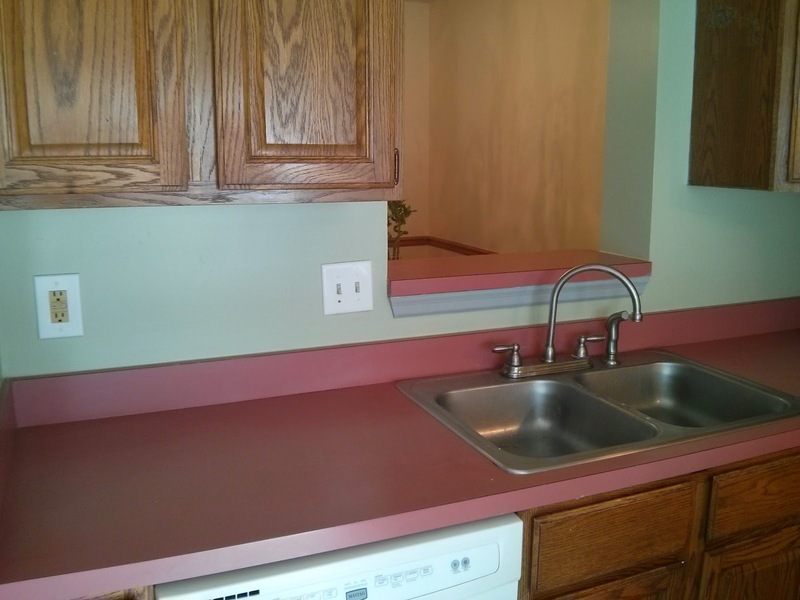 Since we moved into this place, I had been trying to figure out how to cover up the ghastly pink countertops in the green walled kitchen...(ugh, rentals) when I decided to paint the countertops! That's after two coats of primer. TWO COATS. That was some pink, I tell ya. 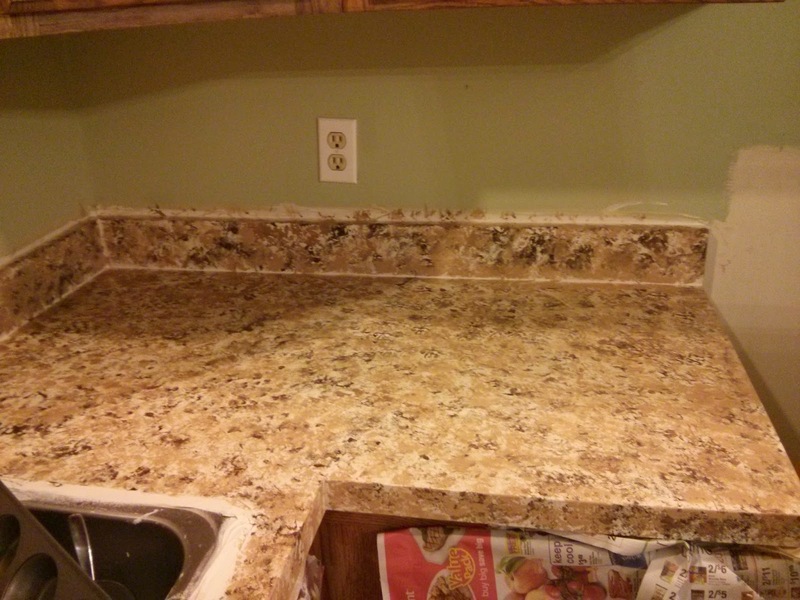 On to the granite look. I got acrylic paints from the craft section...I don't think they were more than 50 cents each! I got a few colors, browns, beiges, tans, blacks. I don't have any progression pictures because once I started, I couldn't stop. 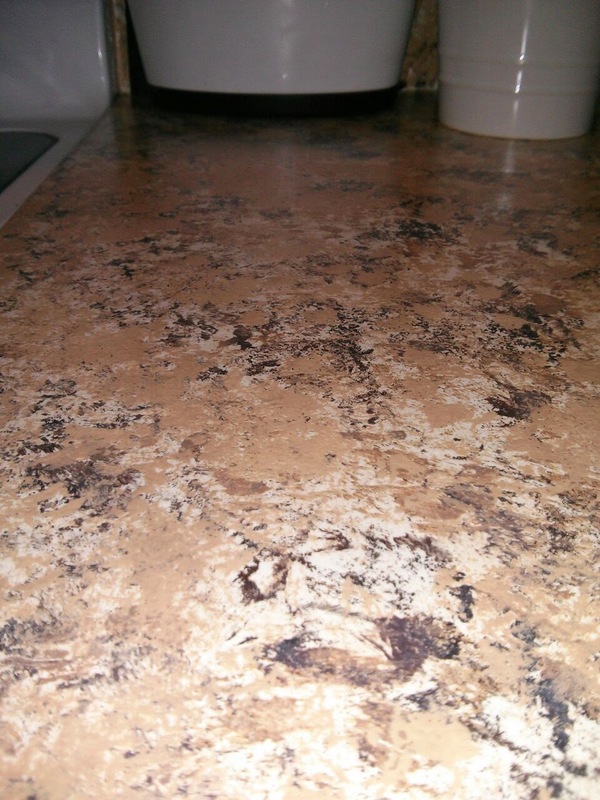 The first layer I did was a black, and you have to basically cover the surface of the counter with a light bouncy tap in random spots, and try to do it in a circular or zig-zag "shape" because you don't want the spots to look too uniform. After I did the black, I did a tan to cover up all the beige primer and around the black that I did first. Then I took a deeper tan and filled in more spots all over. I might have went back in to add more black but then decided not to do so much of it. You have to step back once in a while and see how it looks. 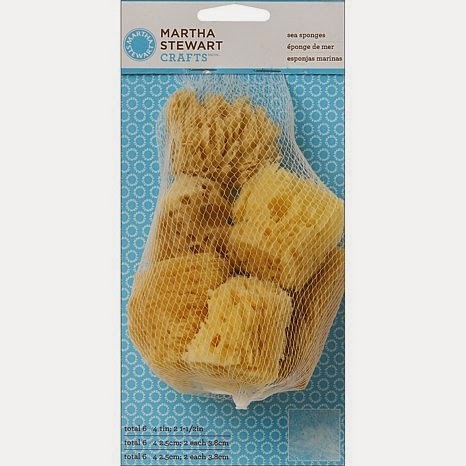 TIP: I used one sea sponge for each color and kept them on separate plates. 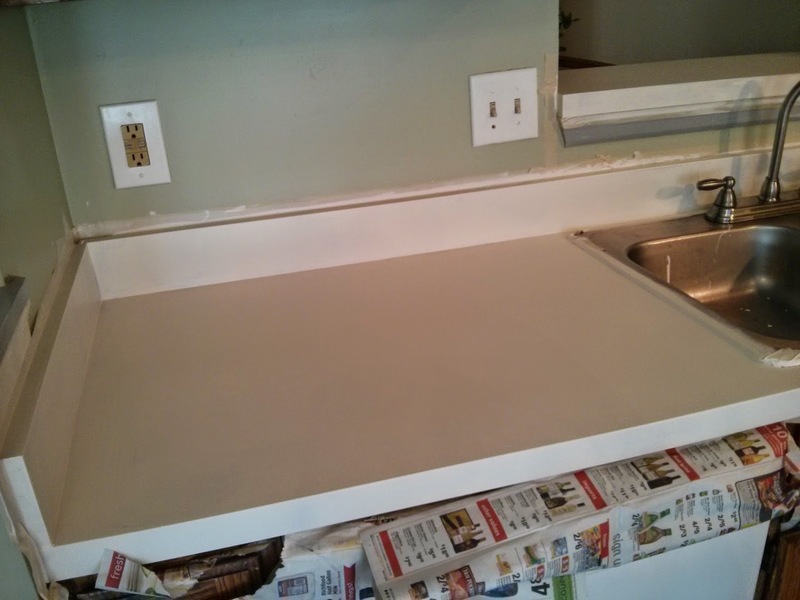 You want to do one color on all the surfaces at once and then go back and do the second layer on all the countertops at once. 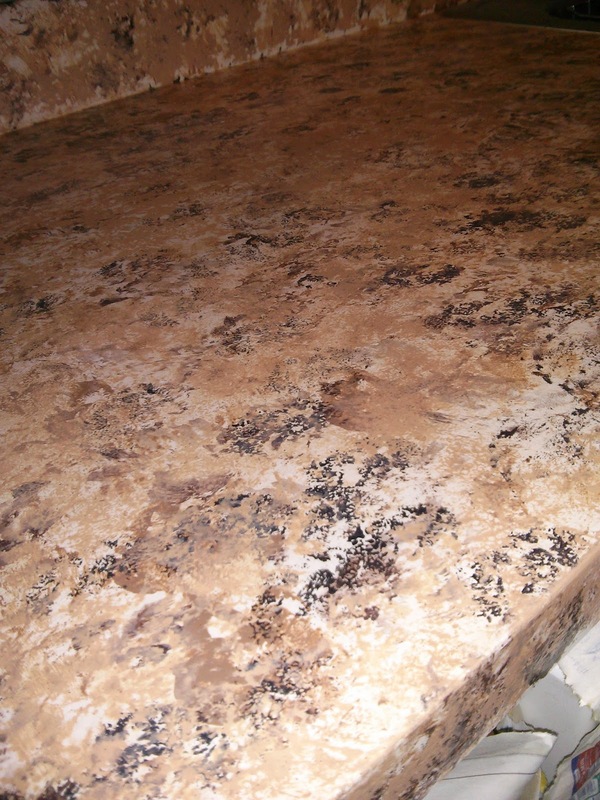 Don't do all the layers on just one countertop, because you'll forget what you did and it'll make the countertops looks different. 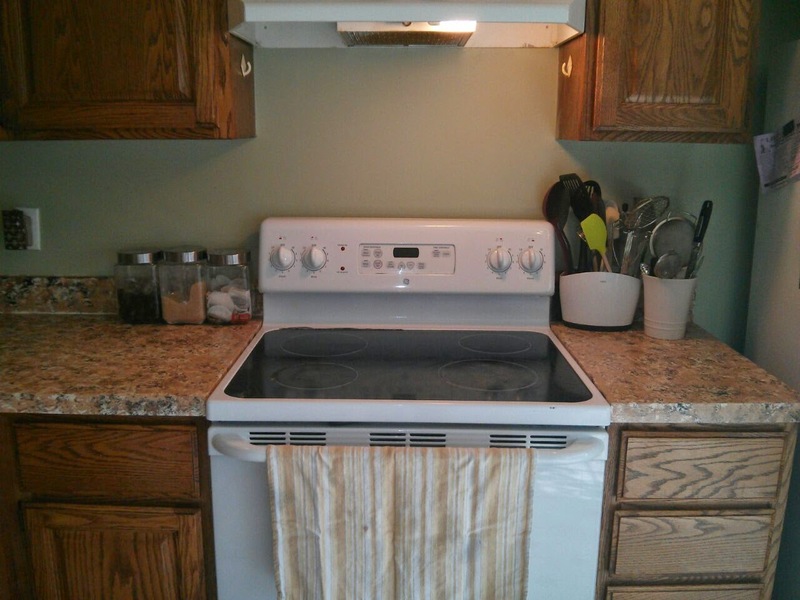 The hard part is getting in the crevices where the counter and backsplash meet and any edges. That's where you'll use the cheap watercolor paintbrushes. 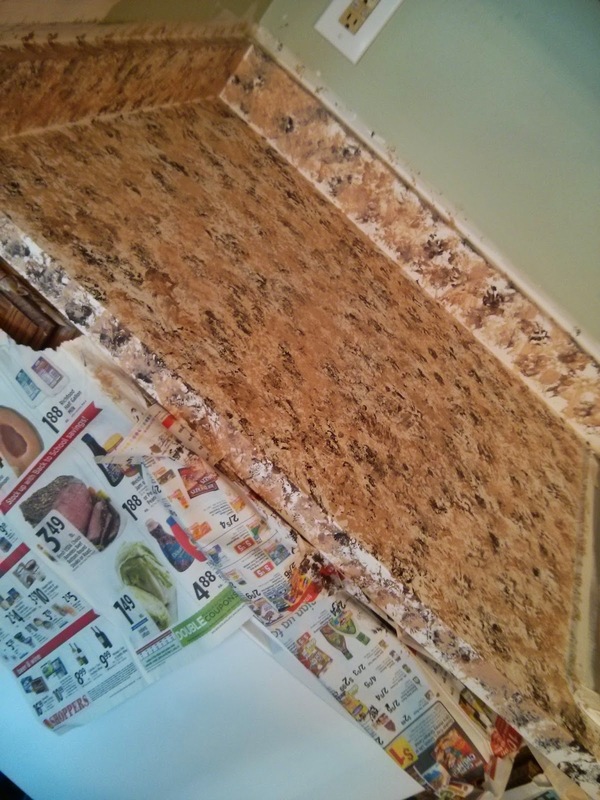 And you also want to work quickly before the paint gets too dry so you can achieve a more subtled layered look. For the top coat, I knew I wanted something heavy duty that would withstand my deep cleaning antics. And I wanted something that would be super shiny. I used Minwax Polycrylic in Gloss, I got the smallest size can, I think it's a 1/2 pint? Not sure. But, I did 10 coats. Yes, 10. I don't know why that number was in my head, but it went by pretty quickly. 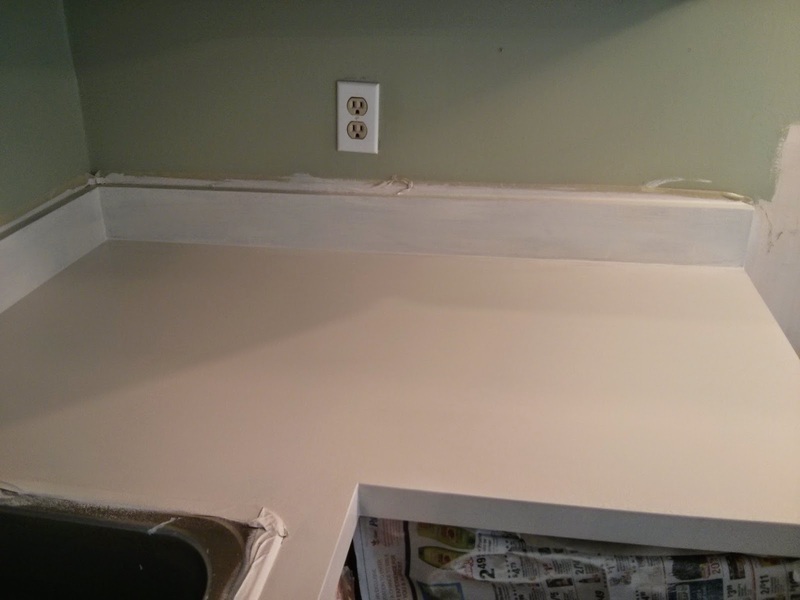 The hardest part was letting it all cure and not putting anything back on the counters for 5 days. 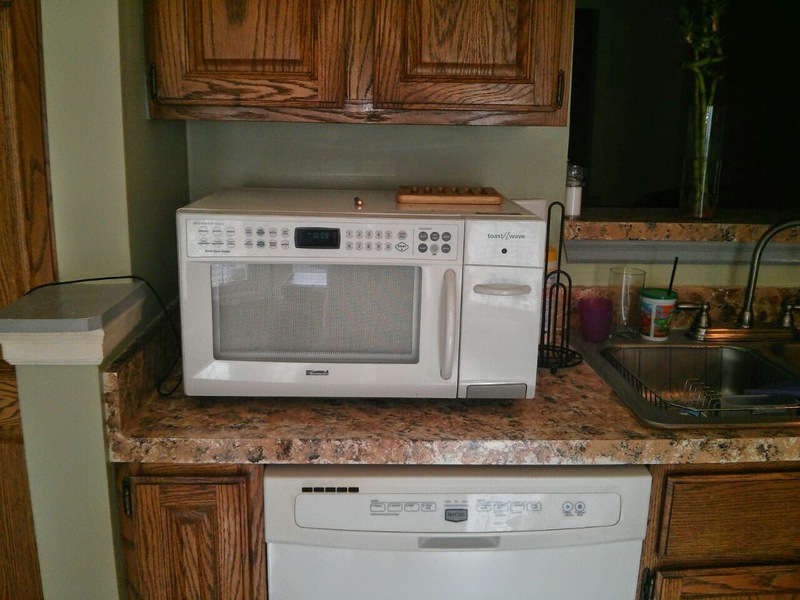 I usually don't do more than 3 days, but with the heavy microwave and mixers that would be staying on the counters, I didn't want to take any chances for indents or markings coming up. And that's it!! 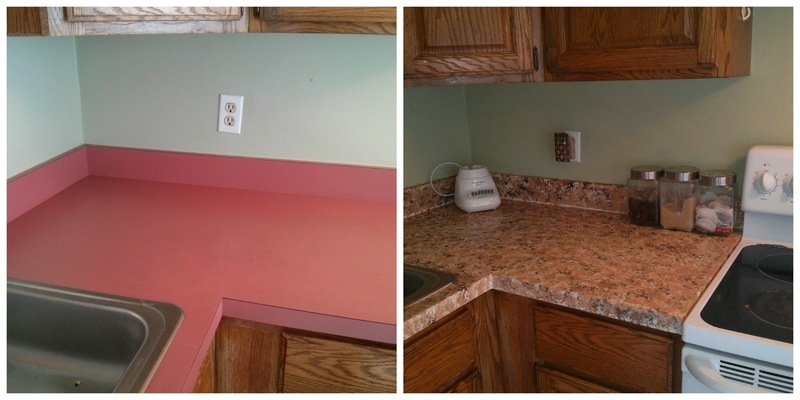 Sounds pretty in depth, but in my opinion, anything is better than pink countertops. And I don't think it cost me more than 25$. Here's a few shots of it all completed with the top coat on it. and a Side by side comparison for good measure to end it out!